on April 10, 2019 surrounded by his children. Joseph was born May 18, 1936, and grew up in Newark, NJ where he met his wife Roseanne LaMedica in 1961. They married in May of 1965. Joseph and Roseanne eventually moved to Union, NJ where they raised their three children. He was a machinist for, and eventually co-owned, Roma Tool and Die Company in Newark, NJ. Joseph then went on to work for the Union Township Board of Education, from which he retired. Joseph was a very active volunteer and member of his community. While his sons were boy scouts, he served as assistant Scout Master for Boy Scouts of America. He was a member of the Union Chapter of UNICO, currently serving as President, a position he held for many years. He also served as District Governor of NJ, District 10 and Eastern Regional District Governor of UNICO National. 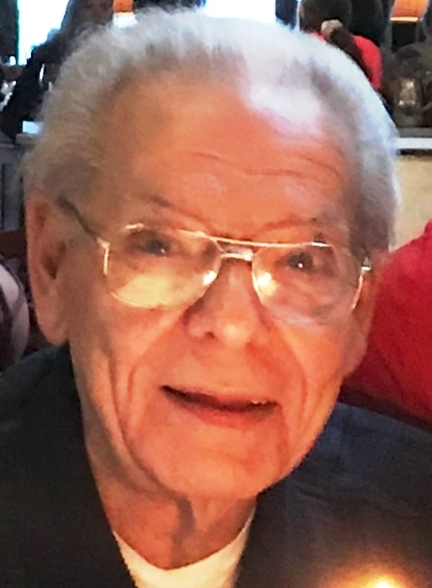 He was a member of the Columbia Italian American Club of Union, the Regular Democratic Club of Union, and the Senior Citizen Advisory Council for Union Township. Joseph also enjoyed watching his grandchildren perform in plays and dance recitals, as well as, compete in athletics. Joseph was predeceased by his wife of 44 years Roseanne and his parents Albano and Carmella Almeida. He was a loving father to Jacqueline Almeida-Williams and her husband Douglas, Joseph and his wife Stephanie and Frank and his wife Debbie. He was a wonderful “Pop” to his grandchildren Matthew, Samantha, Frank, Isabella, Abby Rose and Brandon. Joseph is also survived by his brother Al and his wife MaryRose. on Monday, April 15, from 4 - 8pm. Interment to follow at Hollywood Memorial Park, 1500 Stuyvesant Avenue in Union.